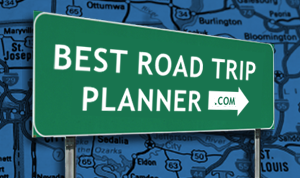 Whether you are planning an out-&-back drive or an extended road trip, the Natural State of Arkansas (AR) has everything to cater to even the most demanding road trippers. From the ride on Scenic 7 Byway to forested mountain trails and the heart of the Delta, Arkansas offers unforgettable scenic drive journeys that will take you through breathtaking vistas, majestic mountain ranges, abundant waterfalls and verdant countryside. And, when you are ready to pull the car over and stretch your legs, you will find plenty of things to do and sites to see. Intriguing historical and architectural treasures, living caves, unique stores, fishing and hunting, there's even a "wine country" to explore! So get the car packed and explore the scenic jackpot that is Arkansas! There's not much urban scenery along the way. The focus here is natural scenery!